Of all the annoyances of using PCs, both Windows-based and Mac, the one that drives me the most insane is dealing with Adobe’s Flash. Flash is the platform that allows everything from video to banner ads to display embedded in a webpage, so if you’ve ever had a video start playing, or a banner ad proclaiming “Swat the fly and win an iPad!” or vicious, malicious software installed on your PC, well, you have Flash to thank for that. 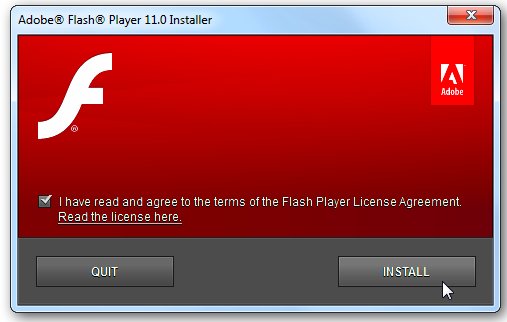 I despise Flash for so many reasons. It allows for all sorts of aggravating, loud, flashing, distracting elements to pound their way into your eye and earholes. it constantly – CONSTANTLY – demands you upgrade it, interrupting any other program you may be running and forcing itself to the front of your screen, sometimes causing you to lose your work. Most importantly, the reason it updates all the time is because it’s a festering, disease-ridden pool of security holes that makes it the most-exploited software by criminals looking to attack your machine. To top it all off, there’s no need for it anymore. With the development of HTML5, and even Microsoft’s soon-to-be-discontinued Silverlight, Flash is quickly becoming the RealPlayer of this generation. Steve Jobs forbade it on his products, YouTube has moved on to HTML 5, Flash is obsolete, the once-useful technology greatly surpassed by modern developments. I have wondered for years why it is still such a part of our browsing experience. I am pleased to say it may not be for much longer. It turns out that the Firefox browser is now blocking flash automatically. As the article states, this is because Flash has experienced THREE zero-day exploits, meaning security problems for which there is no fix, in five days. On top of this new policy, the new security chief of Facebook wants Adobe to announce an end-of-life date for Flash, and on that date have it killed off for good. 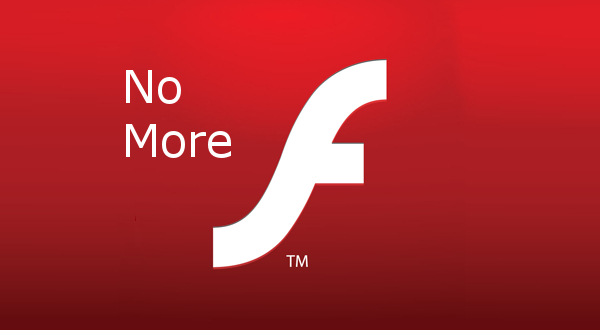 I hope that happens, so we can all be done with Flash, its intrusive manner and grossly insecure nature. Speaking of which, when I brought up that ComputerWorld link in my browser, which is FireFox, look what appeared! Now it pops up all the time, and every time I see it I get a little happier inside.